Spring is about here.... time to get working on some flowery home decor! I saw this idea over at The Artsy Girl Connection a looooong time ago and I finally got down to making some of these beautiful egg vases for myself. Enjoy the tutorial! 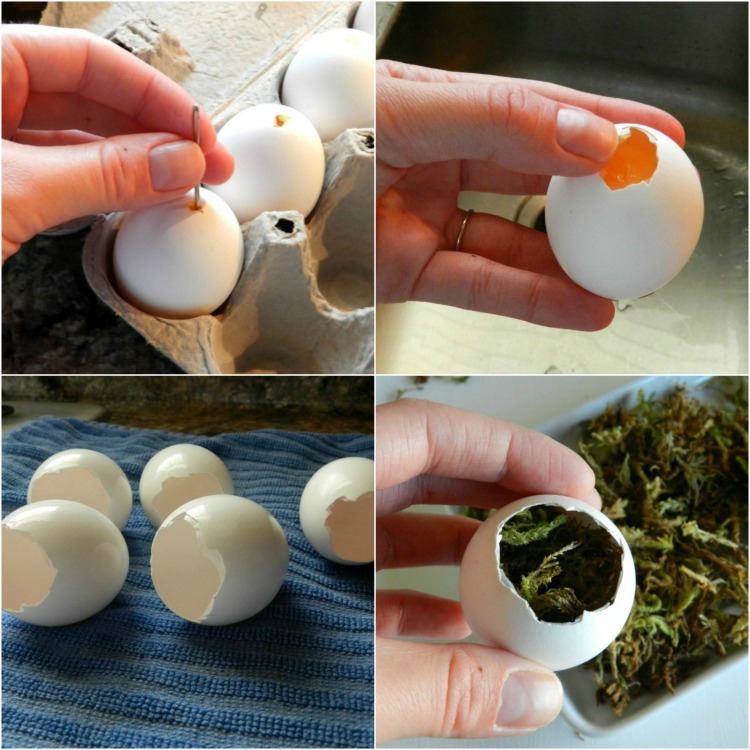 1: Lightly tap a needle into the top of the eggs with a hammer to create a small hole. 2: Enlarge the holes with your fingers. 3: Wash the eggs thoroughly with warm soapy water and let dry. 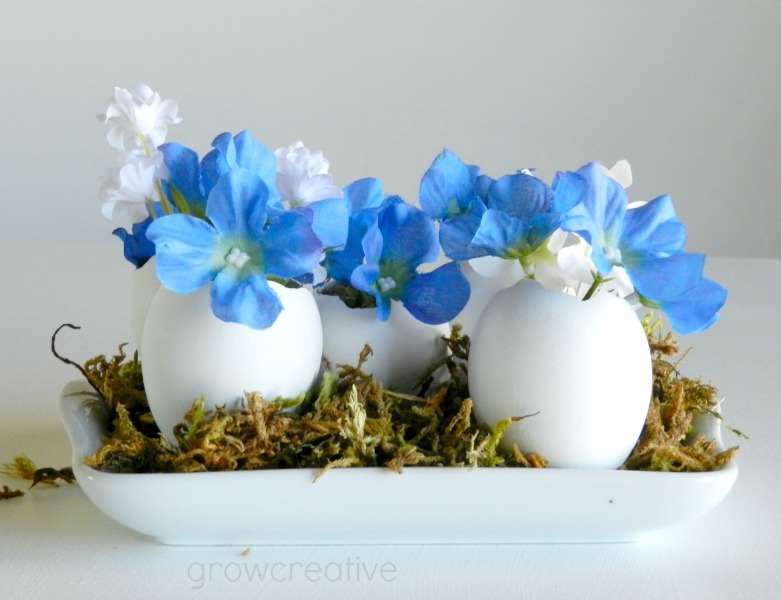 4: Fill eggs with floral moss. 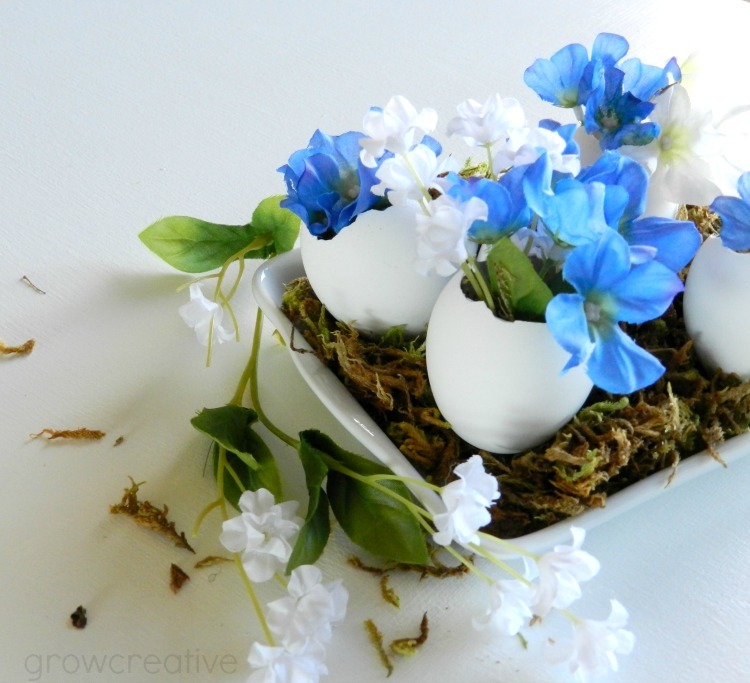 5: Cut small flower stems to and place in the eggs. Super cute! Great tutorial, thanks! These are very cute! I can't wait to try them! !